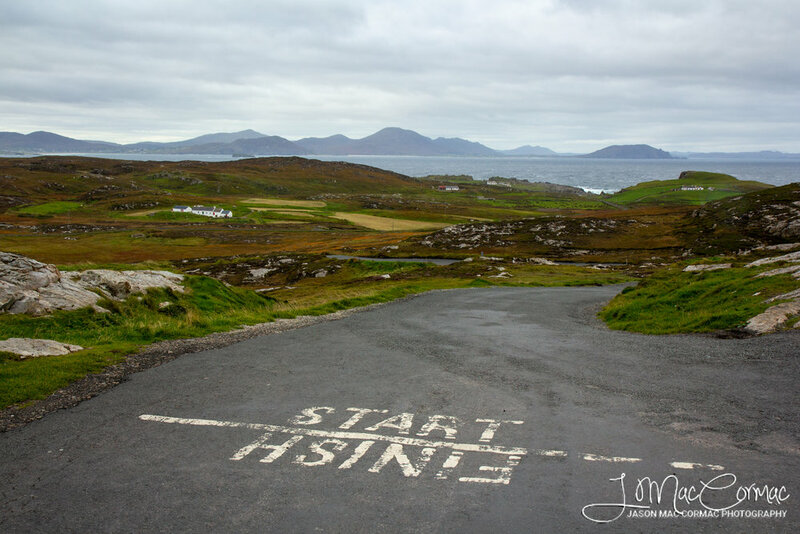 My second trip to Donegal in 2018 finds me at the start/finish line of the Wild Atlantic Way, though I’ve a few counties already visited and still a few to go to it felt right that I went back to Donegal and this time to the Inishowen peninsula, before planning future trips. My previous trip in March or April was to the neighbouring Fanad peninsula, when I also took in Slieve League and a few other amazing locations which you can read from a previous blog here..
Malin Head and the Inishowen peninsula as it happened were a revelation, so much to see and so little time!! The Inishowen peninsula has far more to offer than I expected, so many super locations to visit that a day and a night could not do it justice, only serving to scratch the surface. My first night was an adventure in itself, having left work I discovered the motorways in Dublin were gridlocked so I headed home had some dinner and left it a little later to travel the 4+ hours to Malin Head. Arriving close to 12 midnight at an utterly dark and sparsely populated location hardly a house to be seen and no artificial lights to guide the way, might spook some people, but the music that decided to start playing on the radio is what freaked me out Thriller, Bat out of Hell, Murder on the Dancefloor, it was as if the DJ was having a laugh at my expense. The fact that I was going to sleep beside the scary sounding Hell’s Hole probably didn’t help much to ease my mind. Waking in the morning I found my way to the most spectacular coastal cliffs I have ever seen, unfortunately the weather was not going to play ball and the sunrise was not as I had hoped, with the sun hidden behind the clouds. I did however work the scene and battle the raging winds and suffer with my tired old tripod which really needs to be replaced to capture as best I could some images. The image below I really liked, using every little nugget of information I’ve learnt over the past years with long exposures, filters, composition to make an interesting image. Sadly though my tripod couldn’t cope in the breeze and I won’t be printing this image. After my morning cup of Mocha (very posh for wild camping) and a tin of spaghetti heated on my pocket stove I headed south with optimism that the grey skies would clear, however that optimism did not result in blue skies. Nevertheless I was enjoying my trip to Donegal delighted I had wild camped at Malin. I visited Five Finger Strand to see the beautiful beach and the towering sand dunes, the rain and wind though scuppered any thoughts of taking a photo. Next stop was the Glenevin Waterfall, were i bumped into James and Mícheál two fellow photographers who I’d never met but had the very same idea to get out of the rain. I didn’t shoot too much there but chatted to the guys and discussed possible places to visit during the day. I bid them farewell and headed to Moville for fish and chips at Biddy’s takeaway. The owner kindly sharing the merits of eating Haddock over Cod :) much to the amusement of his staff I chose Cod, sure I wasn’t to know Haddock was their famous dish. Moville. County Donegal. The wind was playing havoc with me this day. After Moville I drove north along the coast through Greencastle and up to Shrove, I’ve seen a handful of images from here, the lighthouse and a small jetty had sparked my interest. It was heading into the afternoon and I still had no idea where to camp for the night, if I should stay in Donegal and venture further north to Kinnagoe Bay or start heading through Antrim to shorten the drive home the next day. Aah if only I had a week. Shrove Lighthouse with Binevenagh mountain in the background. I found the small jetty and took some long exposure images, I think if the tide was in it would work better as the water flowing under the arches would help create more separation between the rocks below and the jetty. The crashing waves and receding water along the sandy beach caught my attention and as the last of the daylight disappeared I spent some time capturing lots of long exposure images trying to time it that the water was being pulled back to the sea as the next wave came crashing back in. It was fun experiment. Long Exposure of a second as the waves crashed in and receded. Interested in knowing more about my photography feel free to get in touch through email or my social media channels below. Fanad Head Lighthouse in County Donegal, a signature stop on the Wild Atlantic Way. I captured this image after sunset with the moon rising. The wide angle lens emphasising the rugged nature of Fanad with the barren rocks as foreground and the the inlets providing pleasing composition leading to the lighthouse. The Giant’s Causeway in County Antrim, possibly one of the most celebrated natural wonders of the world. I had to get here early before sunrise to have the place nearly to myself though in less than half hour there was ten more people, and I suspect had I stayed another hour there would have been bus loads of tourists. The sunrise wasn’t spectacular but I was thankful for the break in the clouds and the rain stopping to give me enough time for a few images. Pine Island in Connemara, a beautiful scene captured on an early June morning. The jetty at Doo Lough with a picture postcard scene of moored fishing boats, and painterly light on the mountains. Mullaghmore County Sligo. This was quite a cloudy uneventful morning, the beauty of photography is with the addition of filters, in this case a ten stop, the photographer can creatively alter the scene make waves appear silky smooth, giving an almost ethereal feel. Mullaghmore County Sligo. This was quite a cloudy uneventful morning, the beauty of photography is with the addition of filters, in this case a ten stop, the photographer can creatively alter the scene make waves appear silky smooth, giving an almost ethereal feel. The addition of the filter helped draw out the detail and colour in the scene producing a very pleasing image. Fine Art Landscapes and Fine Art Prints. 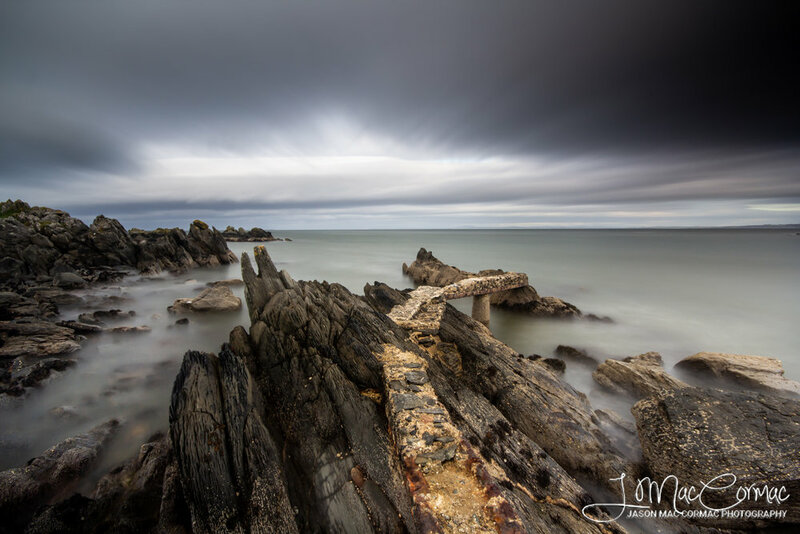 Jason Mac Cormac Photography is an Irish landscape photographer providing beautiful landscape photography prints and digital images of Ireland and beyond. Images are available in a range of sizes and media, suite for home, office and commercial applications.